Okay, so Rosh Hashana (the Jewish New Year) and Yom Kippur (the Day of Atonement) have been and gone, and we are soon going into Sukkot and the fun week of Chol HaMoed ("weekdays of the festival" - the secular, non-holy part of Sukkot). I figure that it is never too late to post pictures from the summer though. After all, it is still pretty hot over here! 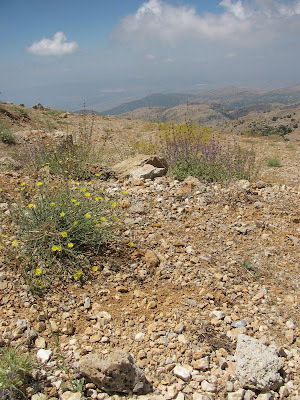 We headed north again this summer, this time to the Golan Heights, Israel's mountainous northern region and one of the most beautiful parts of the country. We've all fallen in love with this area and, though we did a lot during our few days there, there is still a lot more to see. We're definitely going back. 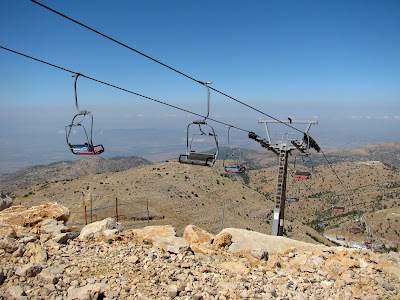 One of our best days out was spent at Mount Hermon, the highest point in Israel. The kids have been dying to go there for ages, and I still owe them a trip there when it is snowing, but this time we visited on a beautiful summer's day and the weather was just perfect. The views of the mountains of the Galilee and the Golan, Syria and southern Lebanon were superb, and our tour guide from the Nature Reserves Authority did a terrific job explaining the geography, flora and fauna of the region, along with an explanation of the battle on Mount Hermon. 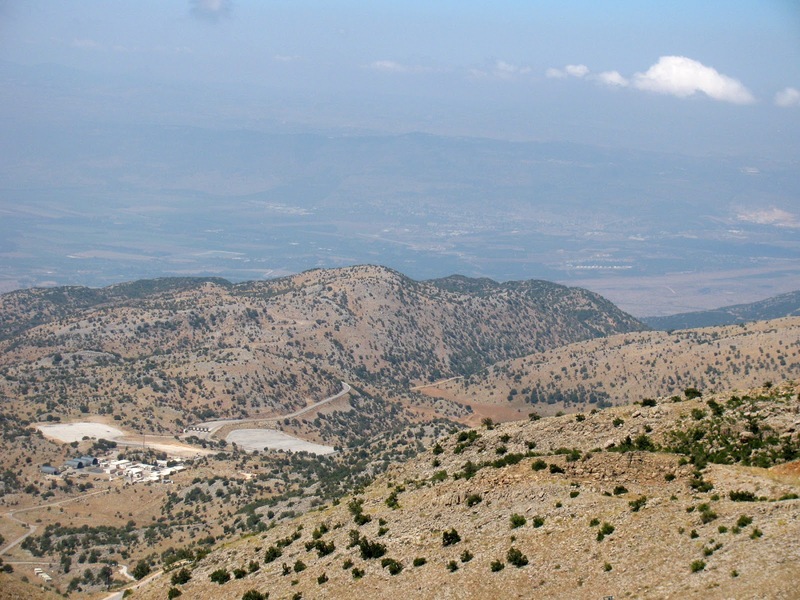 Mount Hermon is important because of its strategic advantage. 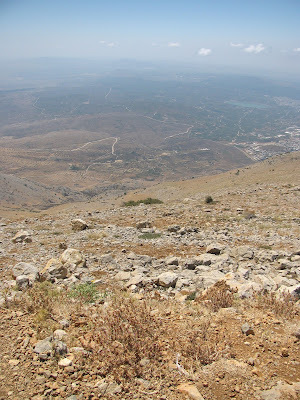 On a clear day Israel can see deep in to Syrian territory. 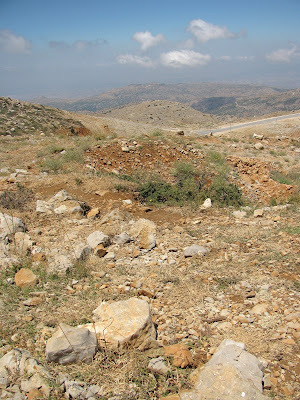 Part of the mountain is a military zone and is home to the sophisticated radar and tracking systems of the IDF (Israel Defence Forces - the Israeli army). 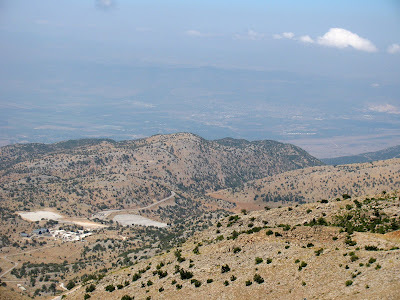 When the State of Israel was established in 1948 the Syrians turned Mount Hermon into a military platform for continual attacks against Israel's northern villages. Syria attacked Israel in the Six Day War of June 1967 and was defeated. 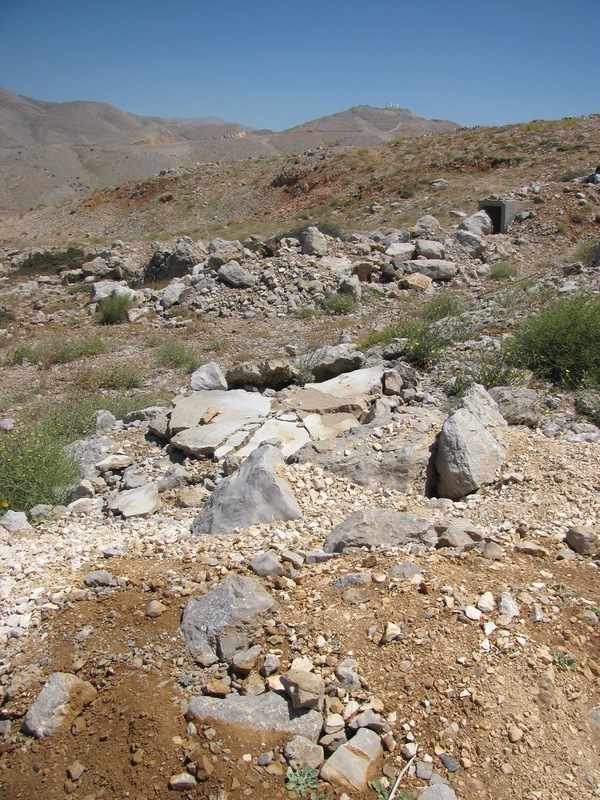 Israel took over the area from the hands of the Syrians. 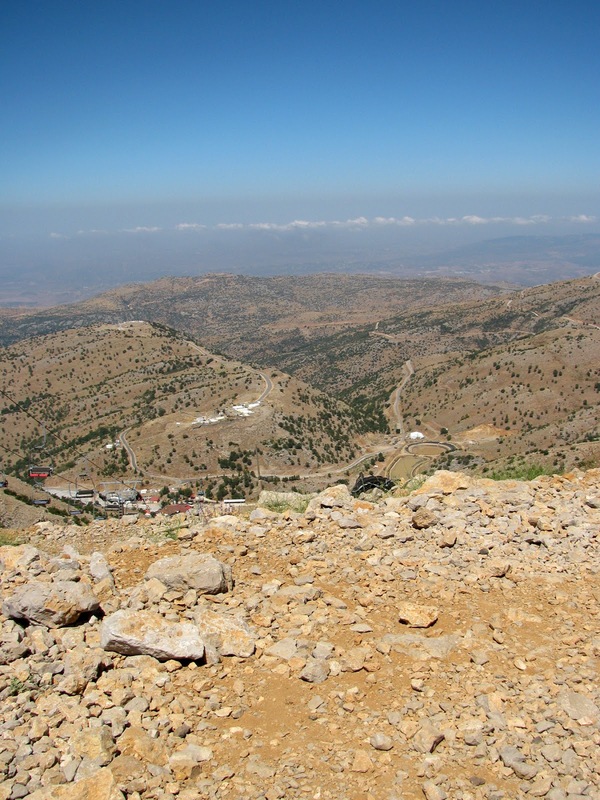 On Yom Kippur, October 6th 1973, Syrian commandos attacked and captured the IDF outpost on Mount Hermon. 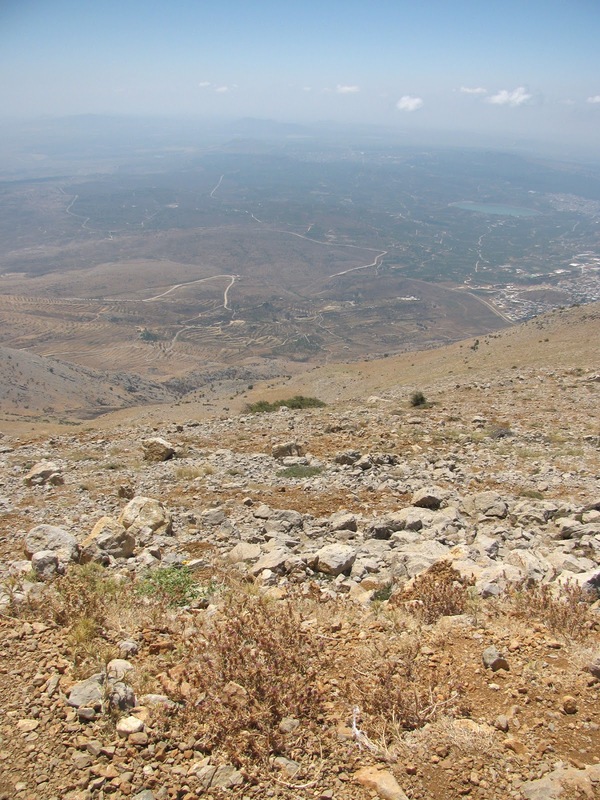 Two days later the Syrians repelled an Israeli counterattack, but the Hermon was eventually recaptured by Israel, along with the pre-Yom Kippur War Syrian controlled sector, on October 21st. It has remained in Israel's hands ever since. 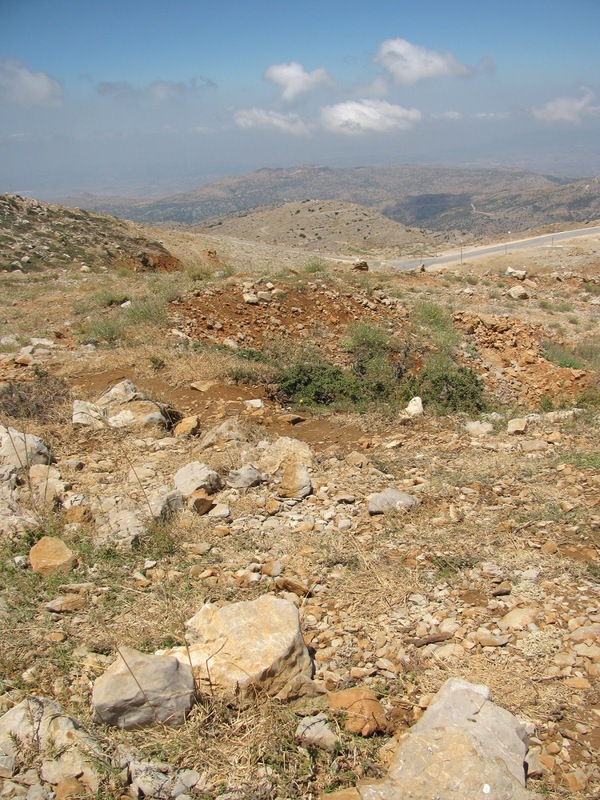 (The pre-Yom Kippur War Syrian controlled sector was returned to Syria after the war). The Golan Heights comprises less than 1% of the entire territory of Syria and is approximately 10 miles wide, but to Israel its strategic importance is beyond measure. Indeed, it is also called "the eyes of the nation" in Israel because its elevation makes it Israel's primary strategic warning system. 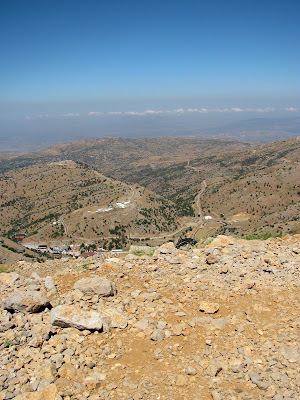 Mount Hermon is actually a cluster of mountains with three distinct summits, each about the same in height. It's highest peak rises to about 2,040 metres above sea level. 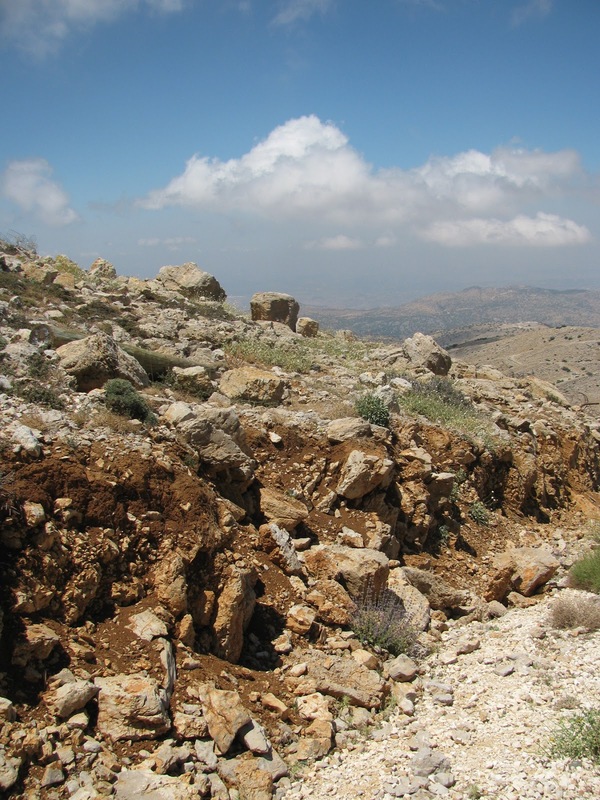 Additionally the mountain forms one of the greatest geographic resources of the area and is the source of over one third of Israel’s fresh water supply. 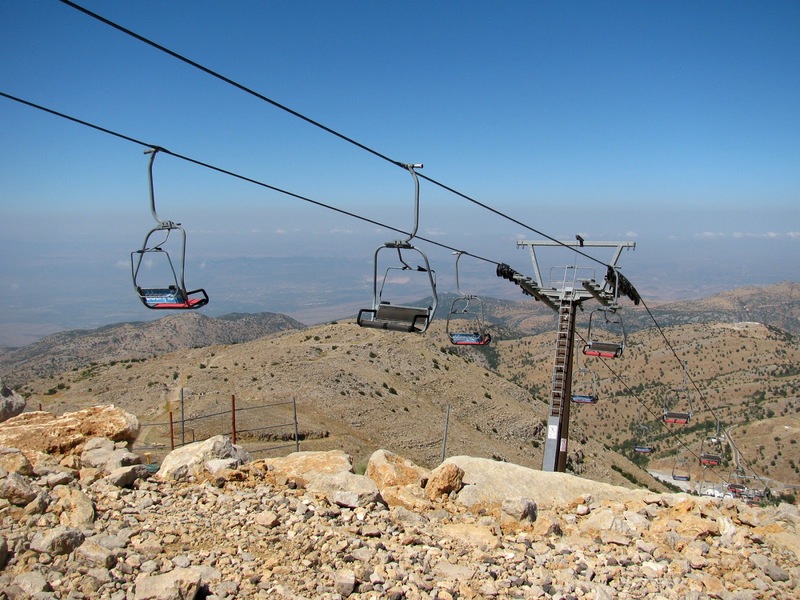 During the winter the slopes of the Hermon host the only ski resort in Israel. 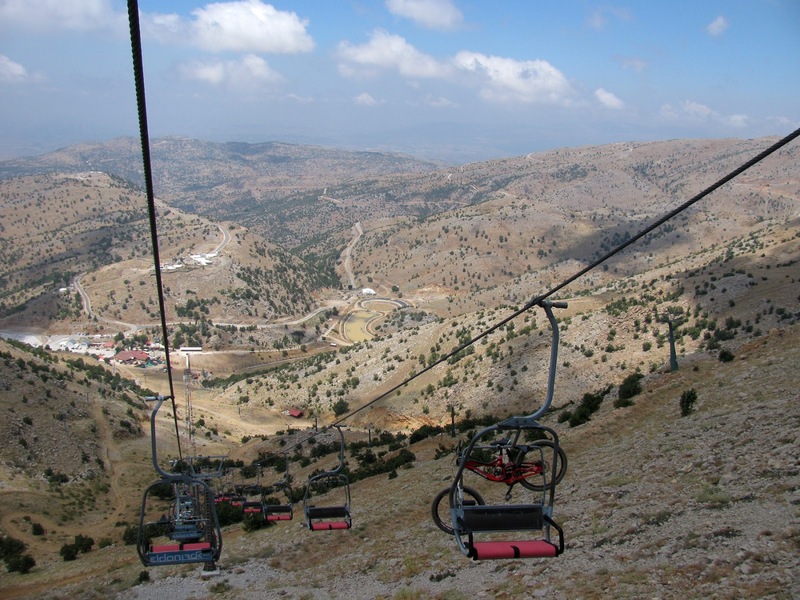 In the summer the site offers a variety of activities including rides in the ski lift to the summit and the guided tour which we took. After we had enjoyed the tour and incredible scenery, we strolled over to the "Extreme" mountain slide located at the site. With a route of 950 metres through the Hermon hills, the sleds reach a speed of 45 kph, though with Mum in control we were, ahem, a little slower! We went up and down and spun around. And guess what? With all the history and beauty surrounding us, the extreme slide was declared the best part of the day! The landscape is stunning! What a beautiful ride this must have been going up and down!